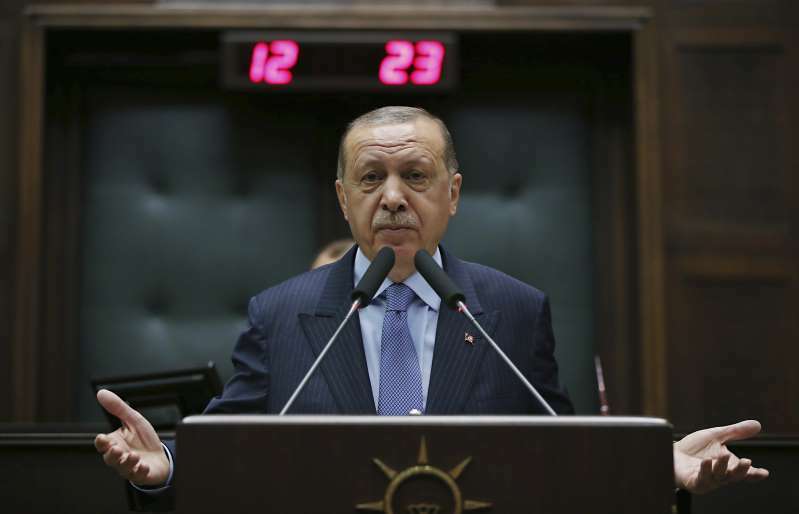 Turkey's state-run news agency says prosecutors have issued detention warrants for 300 military personnel suspected of links to a network led by a U.S.-based cleric, whom Turkey says was behind a failed coup attempt in 2016. Around half of the suspects were detained Friday. The agency said that 211 suspects were currently serving in the military. Separately, prosecutors also ordered the arrest of 21 people suspected of leaking police academy entrance exam questions in 2012 to fellow Gulen followers. Turkey's crackdown after the coup has resulted in about 50,000 arrests. More than 110,000 people were purged from state jobs, including in the military.